Il Best Western Inn è situato nel centro di Winchester. L'hotel è vicino alle principali attrazioni turistiche. Approfittate tutto l'anno del miglior prezzo garantito e di offerte esclusive. Nel nostro hotel di Winchester riteniamo che il confort dei nostri ospiti venga prima di ogni altra cosa e sappiamo che una vacanza perfetta dipende dall'ospitalità, da ottime sistemazioni e da un servizio clienti cordiale. Nelle vicinanze del nostro hotel di Winchester gli ospiti potranno trovare il parco industriale della città e il Ford State Park. Potrai raggiungere con un breve viaggio in auto anche la University of the South di Sewanee, Tennessee, se ti trovi in città per visitare il campus. Molti ospiti vengono nel nostro hotel in occasione di feste di ex-allievi, di raduni scolastici e di cerimonie di laurea: saremo felici di ospitarti durante il tuo soggiorno in città. Il nostro hotel di Winchester si trova in una posizione comoda rispetto alle industrie locali ed è il luogo perfetto in cui soggiornare sia per i viaggiatori d'affari che per i turisti. Siamo vicino alla distilleria Jack Daniel's, una delle attrazioni più popolari della zona, nonché alla Nissan. Il nostro personale cordiale sarà felice di darti consigli durante il tuo soggiorno. Partecipare al festival High on the Hog, giocare sul campo da golf Bear Trace e andare in barca, sciare e pescare presso il Tims Ford State Park: sono tutti ottimi modi di trascorrere le tue vacanze. In occasione dell'evento annuale Jack Daniel's Barbecue Cook-off, perfetto per le famiglie, potrai gustare la migliore carne alla griglia di tutto il Tennessee. A pochi minuti dalla Manchester Farm, sede del Bonnaroo® Music Fest. Anche il Dogwood Festival è un evento molto amato dagli abitanti del luogo e dai turisti. Il nostro hotel di Winchester ospita regolarmente viaggiatori d'affari, tra cui i dipendenti della Nissan, della CST e della Tepro. Offriamo un servizio clienti eccellente, nonché camere molto pulite euna colazione completa a buffet gratuita. Potrai gustare tutti i giorni waffle, pasticcini, frutta fresca, yogurt, crostini con sugo di carne, vari tipi di cereali, succhi di frutta e caffè 100% qualità arabica. Potrai scegliere tra molti tipi diversi di camera, adatte sia alle esigenze di chi è in viaggio da solo per affari che a quelle di un'intera famiglia. Ci impegneremo a rendere il tuo soggiorno confortevole e piacevole. Prenota una della comode camere del Best Western® Inn, per cominciare a organizzare un viaggio fantastico! Ti auguriamo un soggiorno gradevole! "A night in rural TN"
Great place for the money. Nothing fancy but clean and convent to where I needed to be. The check-in was easy and the breakfast selection was plentiful and very good. We stayed here because we were visiting sights near Winchester. Thank you so much for your kind review. We all strive to provide superior customer service. 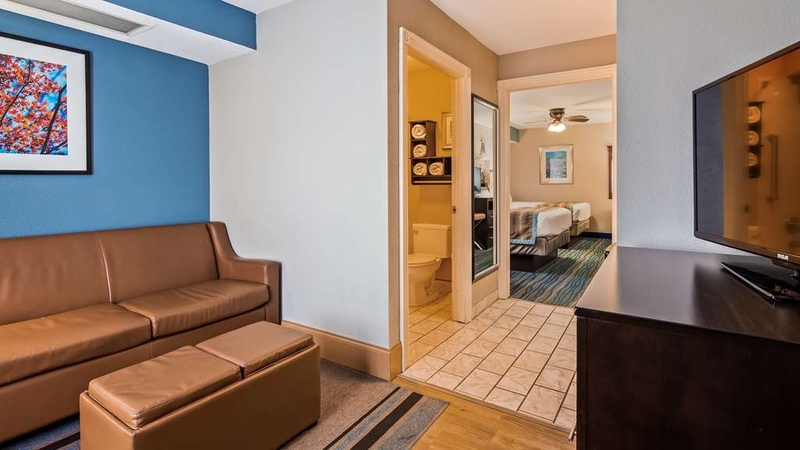 Since the rooms at this hotel were reasonably priced... we opted to get one of several Suites this hotel offered... what a great decision that was... very nicely decorated and clean... and the hot tub worked great. Staff showed a genuine desire to be helpful. Would stay here again. A bit of a gem in a small town. The staff was amazing, from management all the way to the cleaning crew. The cleaning crew was so friendly and genuinely caring for my whole family (we had about 7 rooms). They showed real support to us as we were in town for the funeral of our matriarch. I would stay here over holiday inn or whatever any day. The hotel is older as the doors are still on the outside, but the rooms were updated and clean. breakfast was good with omlets, bacon, sausage, biscuits & gravy, waffles, fruit, bagels, and donuts that were very good. The only thing was it was about 10 minutes off the Interstate in Tennessee. We ended up here after all the hotels we stopped at along the interstate were full. I read the reviews and thought it would be fun to stay in Winchester. I called ahead and made sure there was vacancy. The woman on the phone was super nice. When I checked in, presumably the same girl I spoke with, Makayla, was friendly and helpful. We got a room on the backside of property. The rooms were pleasant and appeared recently renovated. The walls were paper thin, as we heard the neighbors iPhone alarm go off for 20 minutes. We did not have time to try the breakfast. Overall, it was a nice stay. The Best Western in Winchester TN was very nice. It seemed new; it was so clean and nicely done inside. I was very impressed and would definitely stay here again. The people at the front desk make it an easy process too. "A worthy option in Winchester "
My wife and I recently stayed here. It is not fancy. The curb appeal might be a bit lacking but overall it was a good stay. Staff was very professional and pleasant. They woman who checked us out asked many questions to ensure we were pleased with our stay. Breakfast was also very good. We could have stayed in a “nicer looking “ hotel in Tullahoma but would have paid significantly more $$. Glad we stayed here. Wife and I went to Winchester TN to do some shopping at a local candy shop. We chose Best Western based on location and prior reviews. The check in process was very easy, room was clean and the air conditioner was quiet. Breakfast was very good also. "Incredible Breakfast bar choices and spotless rooms..for under $100"
We stayed at this hotel for the UGA/KY football game. While it is 19 miles to the stadium, it is an easy drive into town. We stayed in room 203. We arrived late (11:20) and were greeted by 2 smiling faces. We were quickly checked in and we went upstairs to our spotless room! I mean spotless! The beds were comfy with 5 pillows and extra pillows and blankets in the chest of drawers. Tub/Shower was very clean and new looking. This place it well kept! Went down for a hot/cold buffet breakfast that was HUGE. Was open from 5:30am to 9:30am. Non-GMO,organic, gluten-free, sugar-free and regular items were found such as cereal, waffle batter, jellies, juices etc. They had waffles you could make, eggs, sausage, good biscuits, gravy, home fries, salsa and even beans. There were 6 different toppings for the waffles alone! Cold items included fresh fruit as well as peaches, blueberries, pineapple and even blackberries. These could be the topping for various yogurts or even cottage cheese. There were over 8 choices of cold cereal and 2 or 3 types of oatmeal. The owner was there greeting everyone and being very helpful. They have owned it for 32 years. This was a wonderful experience! Book with confidence! Wonderful stay at the BW in Winchester TN. Stayed with two of my children in the queen suite. The room was amazing. Breakfast was nice. Beds were ultra comfortable. Would definitely stay again. Not much in the area. Just passing through and needed a place to stay the night. Thank you for sharing how comfortable the beds were. We all take great pride in providing superior customer service. We hope you will come visit again soon. Great little gem of a motel in rural Tennessee. Well situated in the area's business district. Clean, comfortable, with a personable, attentive staff. Nice breakfast and even has charging stations for E-vehicles. Thank you for your kind review. We all take great pride in providing superior customer service here at Best Western Inn. 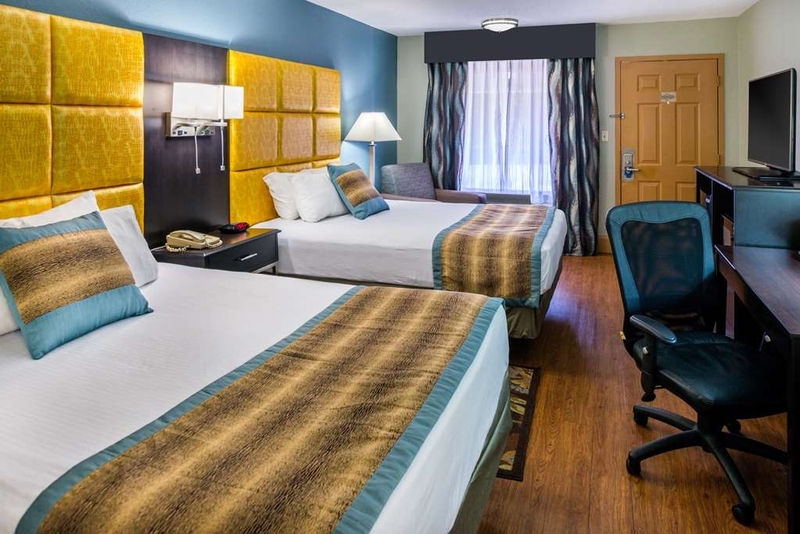 "Family Reunion Time in Middle TN"
Great experience, friendly staff, clean rooms. The location is near everything you need. The staff were very helpful. Rooms were clean and upgraded. We would stay here again in the future as our needs were met. Thank you very much for your kind review Regina. My staff all take great pride in providing superior customer service and we like to make sure everyone has a pleasant stay here at the Inn. We appreciate your business and look forward to having you stay with us again in the future. Fantastic stay. The hotel was in good condition, and the rooms were very clean. I've never written a review for a hotel before, but the quality of the staff made me happy to do so. I stayed at the hotel for several days, and every member of the staff was incredibly kind and helpful. A young man, who was a new hire, even went out of his way to completely rework the fitness area when I had asked about it. Highly recommend the stay. Thank you for taking the time to let us know that you enjoyed your stay. 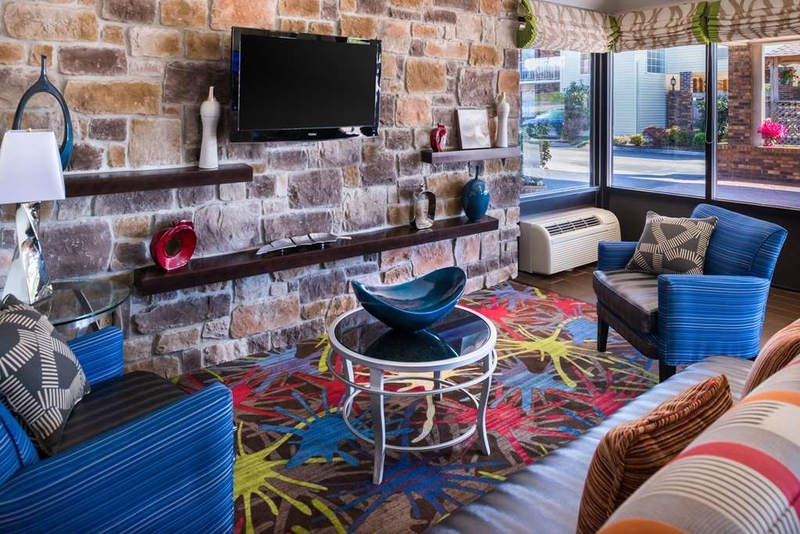 We all take great pride in providing an excellent customer experience, and we look forward to you stopping by to stay again next time your in town. 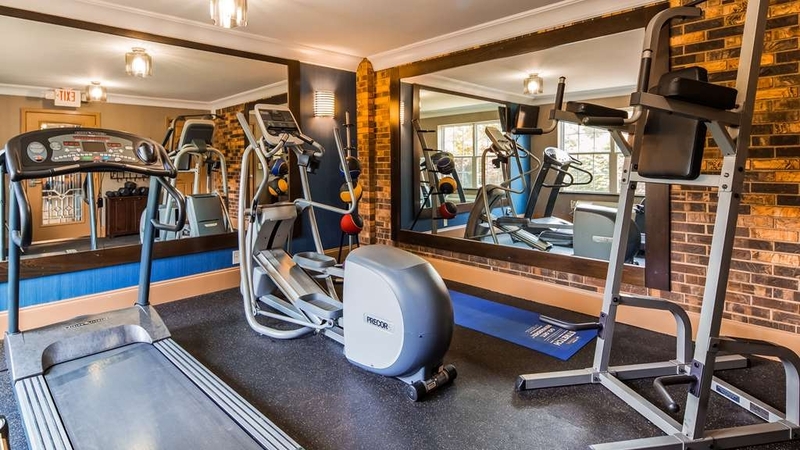 I will thank James personally for helping you in the fitness center as this is what it is all about.... providing our guests a superior experience. Thank You again. Staff was great very nice greeted you every time they came in contact with a costumer. Breakfast was great! Speedy check-in and out. Suite 152 we stayed in and my husband and I had to sleep on the pull-out couch because it was so hot in the bedroom it was very uncomfortable. Wifi wouldn't stay connected to our devices but the hotel was a great experience overall. Thank you for your kind words about our staff, we all take pride in providing superior customer service and appreciate your feedback to help us make changes to ensure every guest has a fantastic experience. 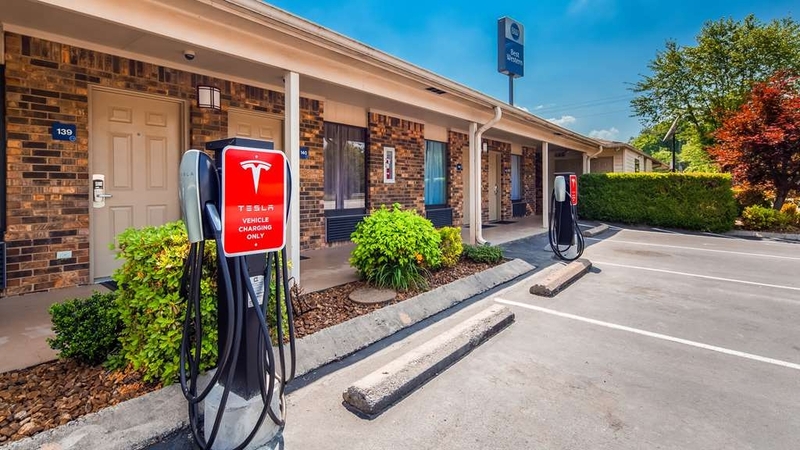 This motel is in a convenient location, close to good restaurants and attractions in the Winchester area. The staff was very friendly and the room was clean. The breakfast which was included in the price was better than I had expected. If in the area o would stay here again. We appreciate your business, Thank you for your review. Have stayed at a bunch of Best Western Hotels across the nation since 2012 , this has been the Best one yet !! At breakfest we were expecting the same same , this is the first time we had fresh blueberry's for our oatmeal. Stayed at this location August 2018, I normally don't write reviews. Thank you for your review, we appreciate your business. "Nice hotel with a hometown feel"
We only stayed here for one night, but definitely would stay again if in the area. This may be an older hotel, but it is really nice older hotel with a hometown feel. Takes me back to when I was a kid. While the plumbing may be a little a little loud and the bathroom a little small, it had an awesome shower. The room was extremely clean and there is also plenty of outdoor sitting areas even by the pool. Also, they serve a really nice breakfast and the staff was nothing but kind. Well done Best Western!!! Thank you so much for letting us serve you. We appreciate your business. Excellent in all aspects. Would stay there again. Room were very nice. Breakfast was excellent and good variety of choices. Parking good. Noise level was quite good. Desk check in was good, had a training working with owner. Excellent hotel! Great sleep! Nice pool, great breakfast, cute little town. ;) Bruce was extremely helpful and nice, and very accommodating! Park right in front of your door. 2 tv's in the room. Lovely decor! "Hotel OK, Ruby make this hotel fabulous"
The hotel room was nice but every time you sat on the toilet it rattled and the bathroom was extremely small. The breakfast was Amazing! So many choices and many condiments and items to put in your cereals, oatmeal or waffles. We stay at best Western quite a bit and that was the largest selection of breakfast items we've ever seen! They also have snacks in the lobby all day/night. Ruby who runs the front desk was fabulous, very nice and personable and she told us places to visit on our way to Tennessee. She made our visit and we would stay here again Because of her. "Everything you need, at reasonable cost"
We stayed in this motel for 3 nights and had a very pleasant experience. There was plenty of room in the breakfast area, along with ample choices of foods. The staff at the desk were friendly and helpful. We were able to park right outside of the room for easy access. The room was clean and quiet, the air conditioner worked well, and we had a refrigerator in the room. Thank you for completing the survey regarding your recent stay at our property. Your business is very important to us and we value your feedback. By telling us what you liked about your stay and how we can improve, you are helping us deliver a superior experience for you and other guests in the future. We hope you will come back and see us again soon. If I can be of assistance in the future, please don't hesitate to contact me at 931-967-9444. Thank you again for taking the time to complete the survey. We appreciate your loyalty to our brand. The room was very nice except for the fact that some of the lamps did not work. 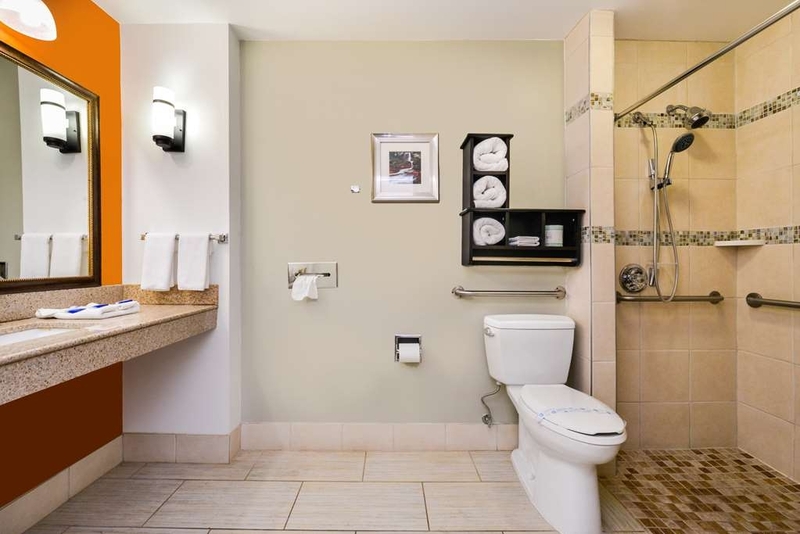 We loved the large bathroom and the laminate floor covering. Much nicer and cleaner than carpet. The cooked breakfast was good. Staff was good. Handy to various eateries. Nice stay! This hotel is definitely the biggest bang for your buck. We were traveling on our way back from Florida and had stop at several hotels along the way to stop for the night and weren't pleased with what we found. My wife came across this Best Western and read the reviews so we drove the extra hour to make it here. The hotel staff was wonderful and extremely helpful! When we got to our room we were very pleased with the decor and cleanliness of everything. When we woke up the following morning we had breakfast and I couldn't believe how good it was. I mean it was restaurant quality and tasted home-made. To some it up, we felt that the quality and care from the staff was up there if not better than the hotels we paid double for in Florida. Thank you Best Western in Winchester, TN!!! Our family will definitely be back!!!!! Thank you for taking the time to write a review, we really appreciate your business. The motel has had a remodel since the last time I stayed in 2015. Looks great. 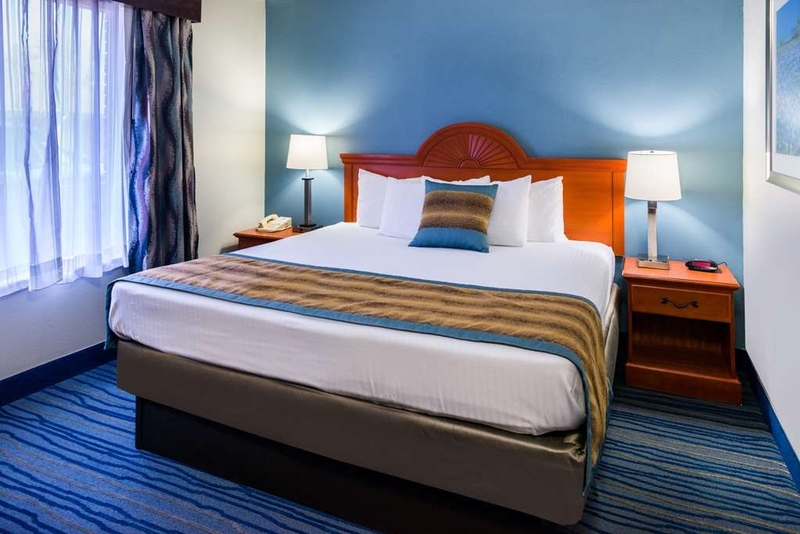 The room was very clean and the staff was most helpful. One of the best Breakfast I've ever had at a motel. I would recommend this property to anyone. We are glad that you enjoyed your stay with us. Thank you for your review. We look forward to your next stay with us. Very Clean and the beds were also Very comfortable. The employees were friendly and helpful. The breakfast and coffee was delicious. Everything you need is close by. Restaurants, grocery store, pharmacy even some family department stores. I will definitely stay here the next time I visit my family. We look forward to your next stay with us. Thank you. 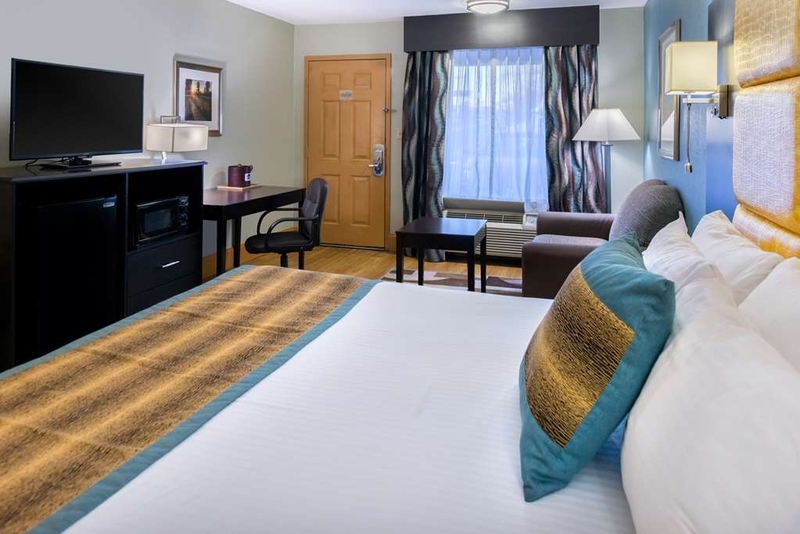 "Clean, updated, comfortable, priced right"
Even though there aren't many choices in town the Best Western still keeps the property in good shape and the staff is professional and caring. Breakfast is as good as any affordable hotel I've been to and the value is very good for the price. Thanks for choosing to stay with us. I am glad you found your accommodations pleasant. We hope that you will stay with us again in the future. We were genuinely pleased with our stay in Winchester, TN at this Best Western. Breakfast was plentiful. Hard boiled eggs, biscuits & gravy, danish, waffles, yogurt, fruit, juice, cereals and coffee that wasn't brown water. The room facilities were very clean and all worked great. Will definitely stay here if in the area again. We didn't hear anything in surrounding rooms and only a train whistle early in the am, so we got a good nites rest. Didn't use the exercise room and pool was closed at this time of year. Looked nice though. Thanks your for your review. We hope that you will stay with us again. I am very selective on hotels so with this being one of the only ones in town we didn't have a lot of options. I am very satisfied with our stay! It was just remodeled and there is no carpet in the rooms which I loved. We are glad you enjoy the time you spend in Winchester, and are happy that you choose to stay with us. We look forward to seeing you again! "Pleasant hotel, helpful staff and good breakfast"
This is a motel style accommodation. It's not fancy, it is clean and does provide a very nice breakfast. Staff were pleasant and friendly. The room was clean and the bed very comfortable. Because there is little to do in the town, I did spend several hours in my room in the evening and it was comfortable. Thank you for your review. We a glad that you found a comfortable retreat in your room, and that you will stay again with us in the future. Comfortable bed and clean and quiet rooms. Very good breakfast. Enjoyed the separate breakfast dining area. Very friendly staff. Great location. Had everything we needed. Will stay again when in the area. Stayed here on business for 1 night and was pleasantly surprised for such a small town. The fellow at the desk was very nice and helpful about the town and the fact I was parking a vehicle that could not back in reverse. Room was nice and comfortable. The breakfast was better than most of the more expensive hotels. I will be back. We are pleased that you found our hotel accommodating to your needs and look forward to seeing you on your next trip to Winchester. I do not recommend this hotel. The front desk staff person had a hickey visible. We were given poor directions to our room. We had to drive around the lot and go back to ask for clearer instructions twice. The floor in the room had only been cleaned in the middle. There was debris along all the walls, including hairs on the bathroom floor and toilet base. The AC unit was inefficient for this type of room. One part of the suite was extremely cold while the other side was 10+ degrees warmer. There was a musty smell in the room as well, which aggravated my allergies. On behalf of staff and management we apologize for your unpleasant experience. We do appreciate your review, and will address these issues. Our goal is to offer the best experience to each and every guest we have. Room was clean and well equipped at check in. Fridge and microwave in room. Open Bath area with sink does not provide a lot of privacy while washing up. Shower does work well. Basic hotel where door opens up to the parking lot. Ice machine is short walk to the office area. Breakfast was ok. Imitation eggs, bacon, some fruit, waffle maker, a few packaged pastries, apple, orange juice and cold cereals served in small room near check in/office area. Decent parking right by door of each room. The fridge kept recycling during the night making a noise that would wake me up. I finally had to dial down the temperature setting to make the noise stop. Heard other noises in the room and outside the room at night. So a restless night. Bed was not that comfortable and I didn't sleep well in combination with the noise. Fast food places and grocery store is not far from hotel. Best part of stay was the room was clean and had modern type furniture. Thanks for your review. I would like you and all who read our reviews, to know that our eggs are not imitations. Each one is cracked by hand and scrambled by our breakfast staff. I'm sorry that you did not find the hotel accommodating to your needs. We try our best to please each of our guest. Thank you for making us aware of the issues that we are able to correct. "Great option. Best sub $200 room ever stayed in." I have stayed in $300 a night hotel rooms in over 10 countries. This one for under $80 a night was actually better than the majority of those costing three times as much. Sure. It was cheap, the furnishings were inexpensive. But someone made it work and feel good. That really matters. Only negative was the WiFi is not WPA. Basically unacceptable and unusable for business travel. We are glad you enjoyed your stay. Thanks for the review. Best Western in Winchester is simply great. It's the old style single story park in front if your room motel. But that's all that is old about. Well maintained exterior along with recently renovated rooms makes this one of the best places ever. Close enough to I24, just a short drive. Only 30 minute drive to Lynchburg and Jack Daniels. Ranked as one of the top 5% Best Western facilities World Wide in July 2017. I was in Winchester, TN on business. When I drove up to the Best Western Inn my first thought was "oh, a motel." Then I met the gentleman at the front desk who couldn't have been more helpful. The best surprise was the room: large, clean, well appointed. It had a small refrigerator and a microwave; and the counter space around the sink was quite accommodating for all my "essentials." The complimentary breakfast offered a variety of choices, and was quite good (hosted by a lovely woman who made sure everyone was taken care of). The only down side-one smallish window, so it can be dark all though there are sufficient light fixtures, and sometimes the wifi can be spotty (it is free!). There is an outdoor pool and although it was too cool to go in, it provided some nice outdoor seating for relaxing. Thanks for taking time to right your review. On be half of the staff and management we are glad that your stay was a pleasant one. We are thinking about moving to the Winchester TN area and we have now stayed at the motel twice in our property/housing search. Both times it was a very pleasant stay, with a good hot breakfast, comfortable room, and everything in the room was in good condition and worked with no problems. We will stay here again on our next trip to look for housing and have (excuse the pun) no reservations about staying here! We are truly happy that you found our hotel accommodating, and look forward to your next stay with us. "Small town hotel / motel"
Good experience in a small town. Parking for our truck pulling our race car worked well due to a large parking lot. Staff was very nice and helpful. Old hotel that appeared to be recently updated and was very clean. We are glad you enjoyed your stay, and found both the staff and property parking accommodating to your needs. This is an older style property where all rooms are entered from the parking lot. One wing of the building is two-stories and does not have an elevator. Although I didn't have a tape measure, the parking spaces seemed narrower than usual. There is additional parking in a graveled area behind one wing of the property but it didn't look very secure to me. The exterior of the property was clean and well maintained as was our room. The room lighting was good. Our room had a combination shower and tub with whirlpool jets. That adds an additional 6 inches of vertical step to get into the tub. There was a horizontal grab bar but it was a long reach as you stepped over the side. 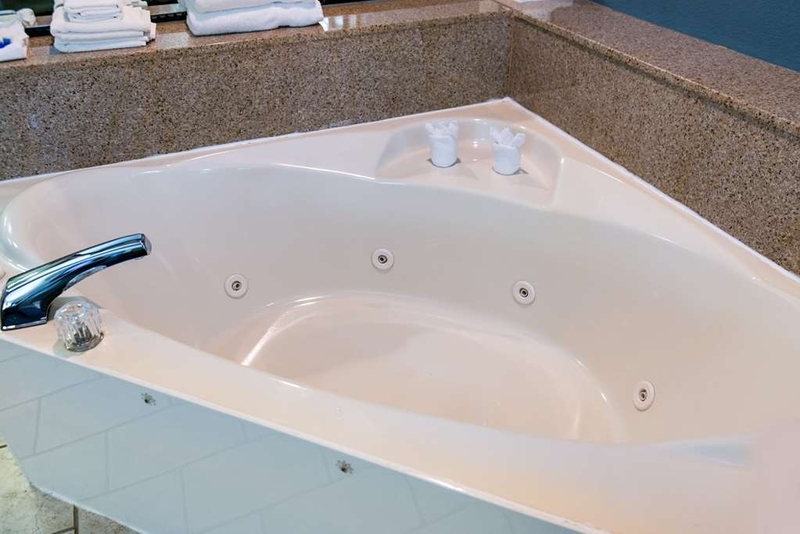 A vertical grab bar at the end of the tub would be helpful. Breakfast was a nice combination of hot and cold items. You can never go wrong with bacon. There is a Mexican restaurant across the street and other dining choices a short drive away. Thank you for your review. We hope that you will stay with us again. I'm so sorry for your unpleasant experience. I would like to recommend that when you have a request as important as needing a wheelchair accessible, to always call the hotel directly to book your reservation. We have one non-smoking-handicapped room at our property and unfortunately, it was occupied. We hope that if you are in the area again, that you will call to see if we can accommodate you. Hotel was very clean, affordable, and in good area. It has pool which was not closed yet for the winter. Our room had a jet tub which was nice and only costed a few dollars more per night. The staff was very nice and professional. The only problem was an early knock on the door by room service on checkout day. The knock was over 3 hours before checkout time, but I consider this an isolated incident or a communication breakdown from front desk. Very quiet even though they were just about booked, never heard anything through the walls. Clean well kept property. Good breakfast variety. 2nd time I stayed at this property and good experience both times, would stay here again next time I'm in town. We are glad you enjoyed your stay and look forward to seeing you again. "Passing threw, quaint and cozy enough "
The hotel was decent. Good Mexican food right across the street at Margaritas. The Best Western has a great rewards program. Our room was clean and smelled good. The room had a coffee maker, fridge, microwave, iron, cable, cozy reclining chair, hair dryer, plenty of pillows.. We didn't utilize the pool but the hotel had one outside. There's a Wal-Mart, Home Depot, Tractor supply, Walgreens and all the necessities close by. Room was around $95. Corporate discount got it to about $82. The breakfast was decent enough also. Juices, hot food, cereal, muffins, coffee, fruit and all the basic good stuff. You can get $20 back off that meal alone. I'd stay here again. Staff seemed courteous and helpful enough. I think they allowed pets and had some smoking rooms also. Thanks for taking time to review our hotel, and all that our city has to offer. I stay here every time I'm in town We got snowed in one year spent several days there great stays always! The renovations are beautiful especially the bed and the floors are beautiful. Will always stay there when I'm in town love the great customer service. Thank you. We are happy that you enjoy staying with us when you come to town and we appreciate your patronage. You could see the pride of ownership as soon as you drove into this Best Western Inn. 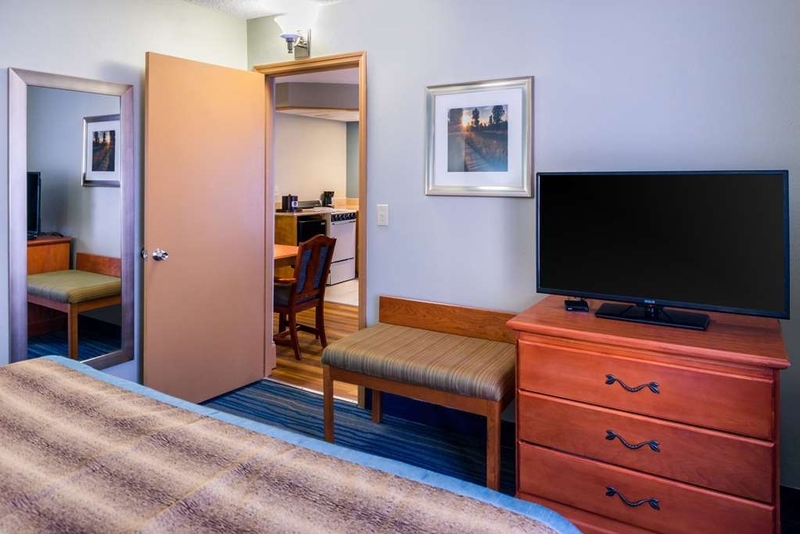 For an older, roadside motel, this Best Western has nice curb appeal, with pretty landscaping and a well-kept building. My wife and I found the same to be true in the lobby and in our guest room. They were reasonably updated, clean and in good repair. The breakfast experience was better than expected for a motel in this price range. I didn't get her name, but the woman running the breakfast puts a lot of extra effort into making it as nice as possible. Sure, this isn't a Marriott, but for the money it is a great value and a pleasant surprise. If I had a complaint, it would be that the Wi-Fi service was slow. Otherwise, our experience was very positive. We would not hesitate to stay there again. We are so glad that you and your wife chose to stay with us, and that your experience was a great one. We look forward to seeing you again! Thank you for taking the time to write a review of your stay with us. We are glad you enjoyed it, and found that our motel meet all your expectations. A nice, quiet, clean motel. In town to play golf at Tims Ford and stayed one night here. The motel is older but has been nicely remodeled. The lobby and breakfast are are new looking and very nice. The room was clean except for a few spots on an area rug in front of the sofa. Bed not the most comfortable I've ever had, but slept well. Air conditioner worked well. I would stay here again. Thank you for taking time to review our property. We look forward to your return visit. What nice place to stay. This is an older motel that has had a great make over. The staff were very efficient and helpful. The breakfast was hot and fresh. Eggs, bacon, sausage, bagels, waffaled and plenty of good hot coffee. PS: for you health nuts plenty of cereal and fruit. 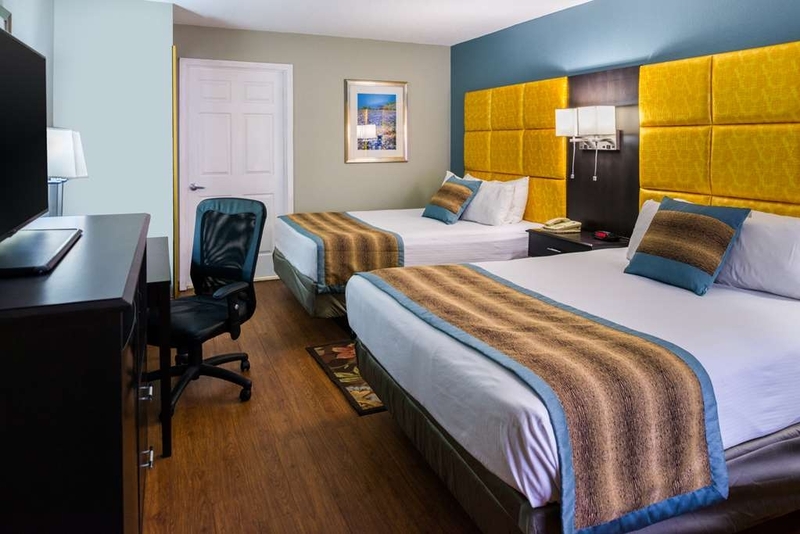 Nice room, great value, clean, friendly accommodating staff. I will recommend to friends and family. Excellent service. Thank you for your continued wonderful service. This the best hotel I have stayed in Winchester, TN. On behalf of the entire staff, thanks! We had a standard room which was great for sleeping in which is what we did most. Only drawback was the size of the bathroom, We aren't exactly small people. But the Personnel was great. Connie was a breath of fresh air, so polite and willing to help any way she can. Location was right winthin town and very close to where we were going daily. Couldn't have been a better location for us. Thank you for taking time to write this review. Your opinions are important to us. 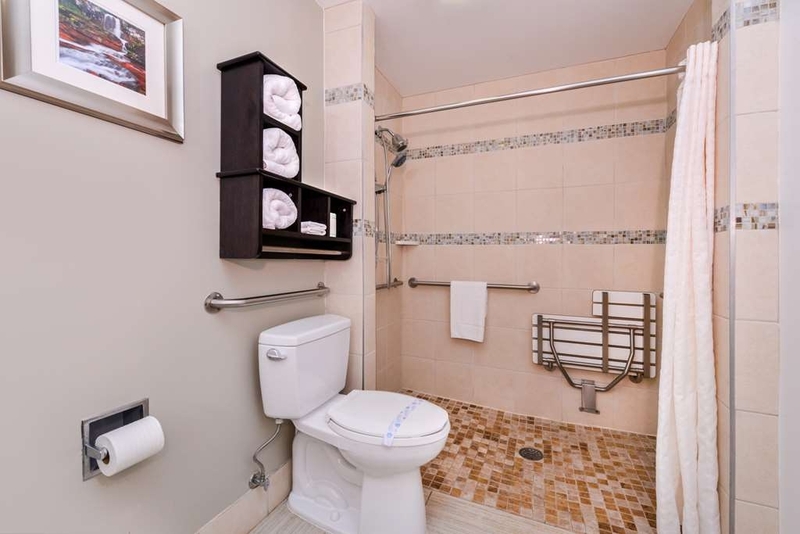 On your next visit, we will make sure the bathroom will better suit your needs. Hope to see you again soon! "Very nice room , great beds and nice pool too." You will be pleasantly surprised by the rooms here. So very clean, quiet and a good location. The beds are very comfy with high quality linens. The pool area is clean and well kept. The breakfast lounge is pretty and extremely clean with plenty of food for anyone. I'd stay here again if I was ever in the area. All the staff were very nice too. We are glad you enjoyed your stay and that the weather was nice enough for you to relax by the pool. Thanks for the review! We had a king suite with a nice little sitting area. The beds were comfortable, plenty of towels, wash cloths etc. We were only in town for one night for my wives surgery the next morning. If I had to do it all over again would book the same hotel and room. Very friendly staff with a hassle free check in and out. Thanks for staying with us. We are glad you found the room comfortable. Wishing your wife a speedy recovery! Stayed here recently for 2 nights on a business trip. The room was clean, comfortable, and quiet. Nothing fancy but a nice place to relax and close to my client. The staff was courteous and helpful as well. We are glad you found us accommodating for your business needs. Thank you for choosing to stay with us. "Clean and quiet with courteous staff." I stayed at this hotel for a week and was very pleased with my stay. It was very clean and quiet and all staff members were very courteous and helpful. There was also ample parking space even though all rooms were booked. Thanks for taking the time to let us know that you enjoyed the week you stayed with us. We are glad to hear that you found the accommodations met your needs. We hope on your next visit to Winchester, you will stay with us! 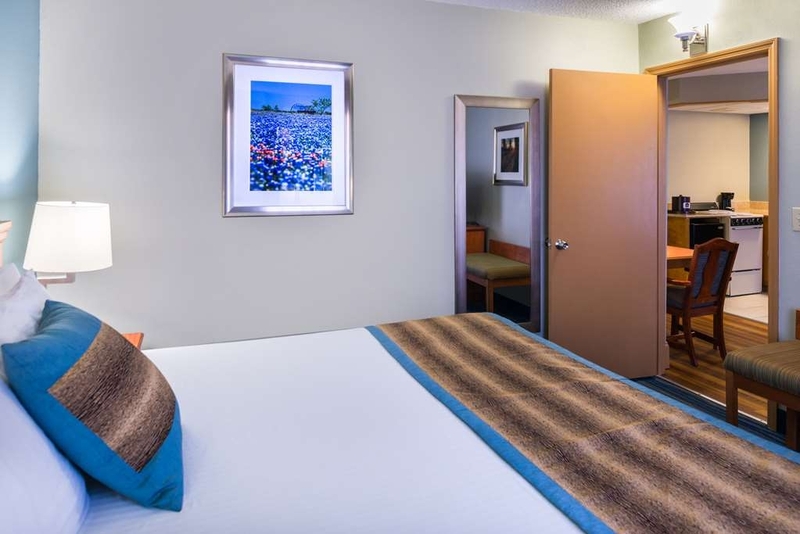 The staff was friendly, the rooms were clean, and the ed was comfortable. It appears well maintained. The breakfast was simple, but met my needs. I will definitely stay here again when I am in the area. "Best in Winchester- 2nd Review"
I reviewed this hotel in 2015. It is much improved. The rooms have been upgraded. Very nice modern furniture with refrigerator and microwave and of course a TV. It also included a desk and business chair. A new air conditioner unit with digital controls has been installed. We are glad that you enjoyed remodel that has been done to the property. Thanks for choosing to stay with us. We hope to see you again. "Avoid. Much better options at this price." Booked a non-smoking and was offered only a smoking room. Odor was so INTENSE and room so dated and worn out that I would not have my family stay there. We ended up going to another hotel to spend the night. Typically book rooms in the $100 a night range, so I know about was I can expect. I will accept a little less, but this was way below even being close to standard. I am sorry that this happened. When you book on line through certain websites, these companies do not guarantee room types, such as smoking or non-smoking, just bed types. If all the non smoking rooms with 2 beds are booked when you make the reservations, then their system will automatically book the 2 beds, but then the type will be smoking. The hotel is sent the reservation and only shows that the guest booked the 2 bed, smoking rooms. This only happens when the hotel is sold out of the room type that you desire. 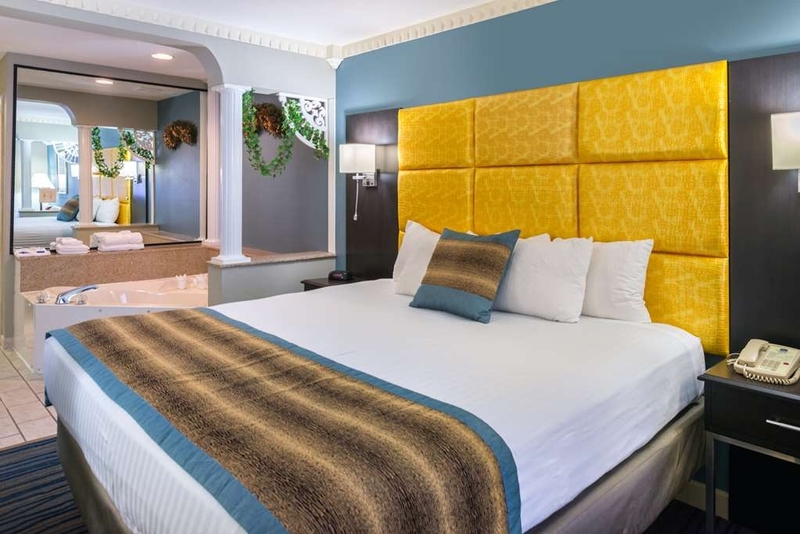 When these guest arrives, we are unable to accommodate the guest the room that they believed they had booked, so it is not only a horrible experience for the guest, but the hotel as well. If you choose to continue to use these websites to book your room, I do suggest you call the hotel to see if your desired room type was booked. If it was not, then you will need to cancel your reservation on line, as the hotel does not have your payment information, and hopefully this will allow you time to book the room you want. You can always call the hotel directly and make your reservation. We not only guarantee bed type, but room type as well. If you have any requests, such as adjoining rooms or floor preference, remember that on line bookings do not pick these request up. I suggest that you call the customer support number from your on line booking company, and see what they can do to retrieve your payment. can't think of enough words to describe how bad this place is. Old, dirty, air conditioning not adequate, pool out of order, bathroom door locked us out. decor terribly outdated. And much more. Did I mention the smell? We are truly sorry that you did not enjoy your stay. I hope that you got the CD's that were left behind in your room at check-out. Again we would like to congratulate your granddaughter for graduating at FCHS class of 2017. We wish her all the best in her future achievements. You might expect a Best Western in a small city to be passable but undistinguished. That was decidedly not the case with the Best Western on the highway on the north side of Winchester. The hotel was rather small and had outside corridors but it was tucked in off the road and reasonably quiet. Staff was friendly, the rooms modern and well maintained, the amenities all functional, and the breakfast above average. The price made our stay a real bargain. Should your travels bring you to the eastern portion of Middle Tennessee, this would be a great option. Thank you for taking time to post this review of our hotel. Your comments are valuable to us. It helps to see things from our guests perspective, that otherwise might go unnoticed. We look forward to your next stay with us. This was one of the nicest Best Western's we have stayed at that is not BW Plus. It was clean, the decor was nice as were the staff. The breakfast was excellent with biscuits & gravy, scrambled eggs and of course the ubiquitous waffles! Unfortunately it was too early for the pool to be open, but we did sit out in the gazebo and enjoy a glass of wine and some cheese and salami. Nice little place and good value. We are so glad you enjoyed your stay with us. The pool will be open this memorial day weekend, we hope you come back to enjoy it! Very comfortable room (spacious and nicely decorated), friendly staff and beautiful area. It is close to good restaurants, University of the South in Sewanee, and The Walls of Jericho. There is also an operating historical theater in town where we saw a current-day movie. It sounds like you had a great time seeing all that the area had to offer. Thank you for staying with us. Room was an emergency purchase after a bad experience at another hotel. Staff were laid back but knowledgable. Room was clean. Older decorating but not hideous. My friend and I were relieved to find a clean, comfortable room in town. A bit pricey but for a room that we were able to check into less than thirty minutes after calling to reserve it, it was absolutely well worth every penny. I have several trips to Winchester over the next few months and will stay at this location every chance I get. Thank you for staying with us. We glad you found the hotel accommodating, in your time of need. We look forward to seeing you on your next visit to Winchester, TN. We're so glad you enjoyed your stay. We know how important our guest furry friends are to each one of them. Hope to see you, soon! We were charged $180.00 for an $80.00 room. At least that is what it was in August 2016 when we stayed there last. The staff at the desk was indifferent and not interested in us as customers. Finally the breakfast bar was mediocre. The coffee was cold, there was one egg for my wife and I to share and the microwave I used to heat the coffee would not program for part of a minute. Overall a disgusting and expensive visit! There is no apology I can think of to correct this situation, nor will I make excuses for the staff members who made you feel this way. I am glad that you had stayed with us enough in the past to know that this is not how we operate the hotel, nor do we tolerate this behavior from the staff. I can only hope moving forward that you will stay with us another time so that you will realize that this was a breakdown with 2 staff members, and not a reflection of the hotel. You were heard and your voice is important. I thank customers such as yourself who let us know and we have the opportunity to fix the problem. "Very nice place to stay while in the area. I will be back to stay there again in the future." Very nice place to stay, quite clean rooms. The staff was most helpful, and what a fantastic breakfast in the morning! I plan on going back for another visit to the area and I will most definitely be staying at this Best Western. My bf has family nearby, so I've stayed at this hotel a few times over the years, since 2010. Always clean and well maintained at every visit. 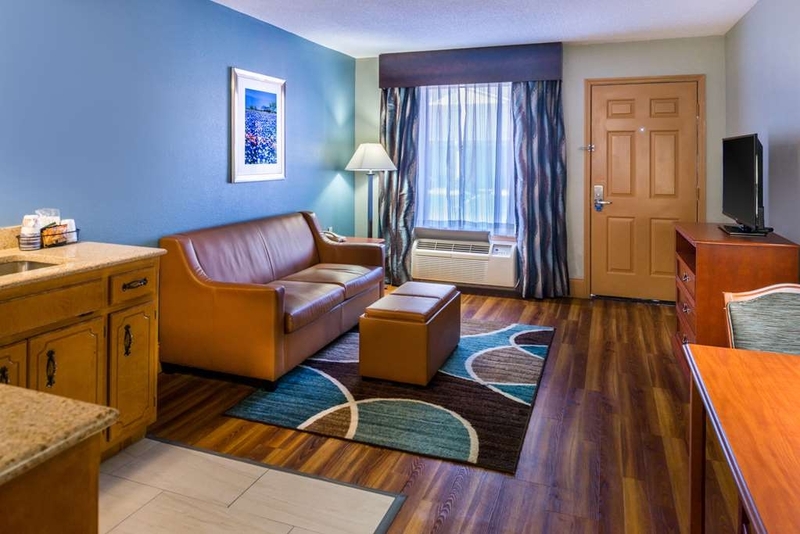 Rooms have recently been updated with new decor, flooring, etc. Reasonably priced. Highly recommend! "Clean and very friendly "
My girlfriend and I were passing through on our way back to Ohio and I decided that I wanted to stop at the Jack Daniels distillery. It was getting a little late so we decided to stay. She wasn't sure if this place(Best Western) would be up to her standards. After getting settled into our room she told me that this was one of the better motels she's stayed in for such an inexpensive price. The room was very clean and the staff was great. I would recommend this place to anyone and if I'm ever in the neighborhood again I will be stopping back here. Hotel came as an advisement to stay. The room was nice, comfortable within walking distance for eateries. Not far off the main road and was still on the quiet side. The staff very friendly, continental breakfast had different items that made it seem like a regular breakfast! All staff was very friendly and professional, exceptionally clean rooms, ideal location in the heart of town. Breakfast bar had great selection and hot food. Everything was perfect. This is a nice quiet location for those seeking peace and quiet. Price was very affordable. Worth driving a little longer out of your way to stay here! Chose this offering because of these ratings and it's relative proximity to two craft fairs we attended over the weekend in Ketner Mills and Bell Buckle. Very nice room, king bed with seating area and comfortable love seat. Hot breakfast was good and staff were very friendly, helpful and efficient. Thank you for taking time to write a review about your stay. 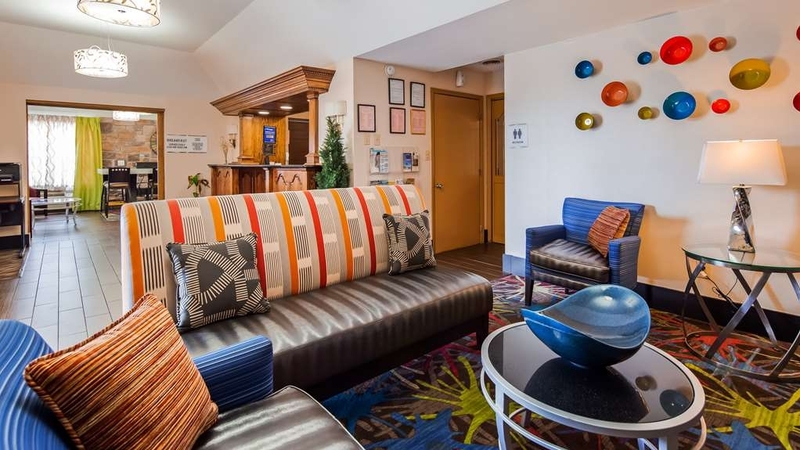 We are glad that you enjoyed the love seat in your room and that you found the staff friendly and accommodating. We hope to see you again next October during the Bell Buckle craft shows. unfriendly staff. cold breakfast. near a main street so noise level is redic! high priced or what you get! not up to date at all! best stay would be quality inn literally less tan 1 min up the street! well worth the money in this tiny town! 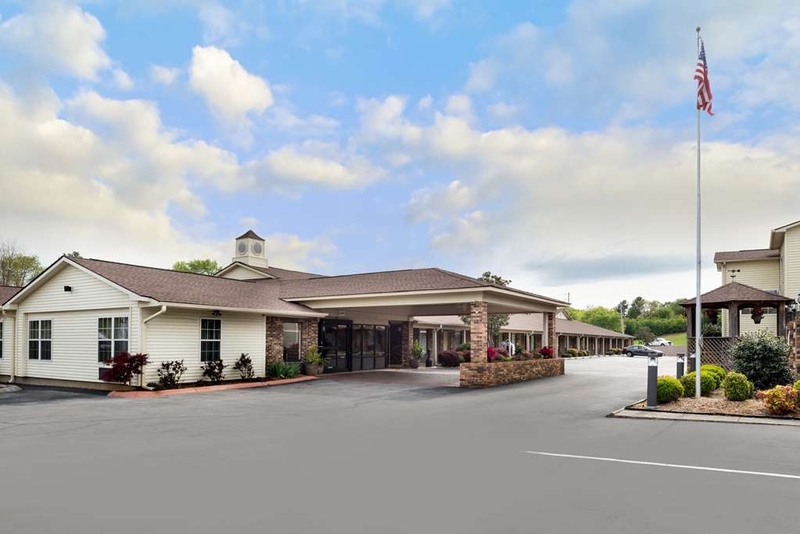 "Great stay in Winchester, TN"
The room were clean and well maintained, staff was helpful and knowledgeable overall it was a great stay i enjoyed my time and the free breakfast. City was nice and seem to have a lot to do it i spent most of my time in park with my family. we had stayed here one night but booked for a week. we ended p going to Quality Inn up the street and had a much nicer time! the staff we met were so grumpy and unfriendly, not professional at all. room was small but clean. wifi was slow but free. price was not worth the value. i recommend going literally 1 min or less p the street to a quality inn this town has! we searched a winchester inn and was told its drug infested so do not go there either. Best is an apt description for this motel. located in rural Tennessee it is clean quiet and comfortable and competitively priced. I've stayed at other motels in the area but consider them second to this facility. Very nice conveniences in this room. USB plugs on every lamp. Fridge. Microwave. Handy hair dryer. Lots of pillows. Comfortable bed. We found this hotel room more comfortable and convenient than rooms twice this expensive. Also, someone takes very good care of the hotel. It is clean inside and out. Very pleased. We are glad that you were pleased with Best Western Inn, Winchester, TN, and look forward to your staying with us again. Cute small hotel that has been kept up nicely. The rooms are clean, the beds are comfortable, and you can actually eat the breakfast items because the sausage tastes like sausage and the gravy is not from a can. Plan on taking a cold shower when you arrive to give the a/c time to cool the room because they are too cheap to leave it running. Thank you for taking the time to write a review about your stay. Our breakfast items are cooked fresh each morning. We are glad you enjoyed them. The air conditions are reset to a higher temperature when the rooms are empty in the summer. Sorry that you experienced discomfort. We will look into a more workable system for both our guest and the hotel. Hope to see you again soon. This is a nicely renovated hotel not far from the town square. The room is large, has all the expected amenities, and has friendly staff. The breakfast room is large either a variety of foods available for a good morning start. The pool is outside, a nice size with a covered sitting area on the pool side away from the road. It is close to shopping and restaurants. 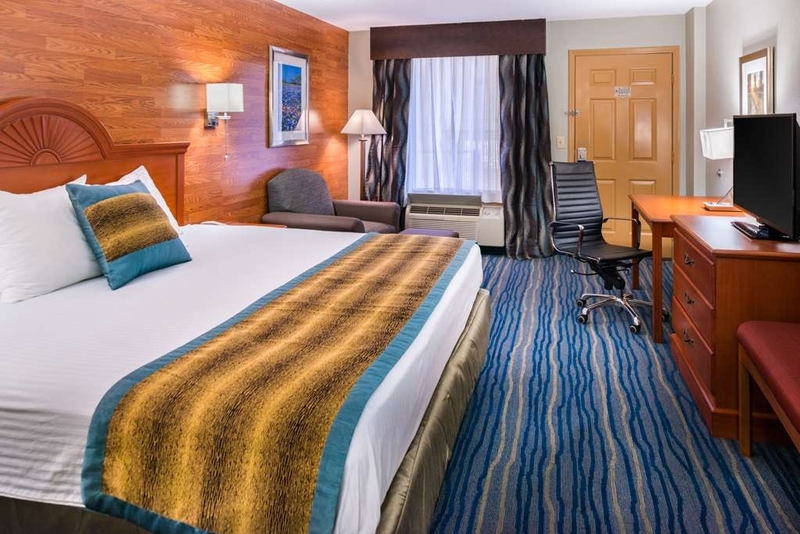 We are glad you enjoyed your recent stay and that you were pleased with the amenities we offer. The staff and management thank you for your patronage. We hope that you will stay with us again soon. Always impressed and satisfied. 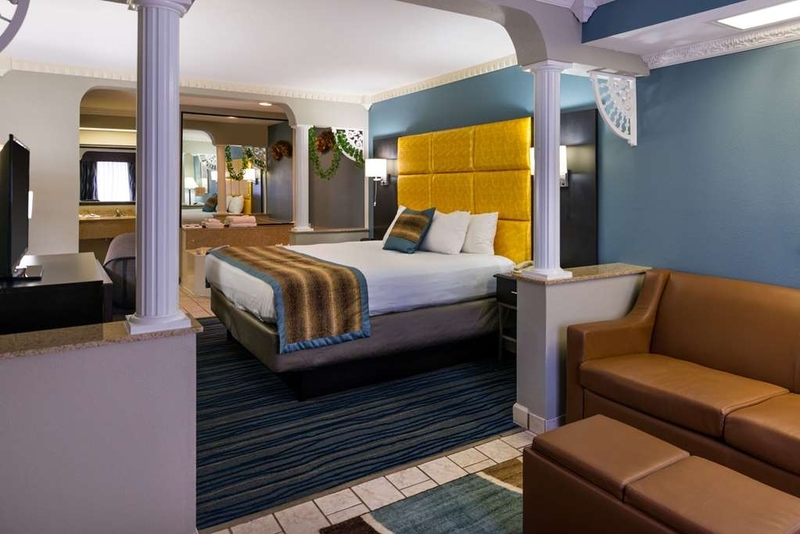 Wonderful rooms and great staff, love the renovations. I am always made to feel welcome and very well accommodated. I would without hesitation be willing to strongly recommend this hotel to anyone visiting this area. We are glad you enjoyed the recent renovations. 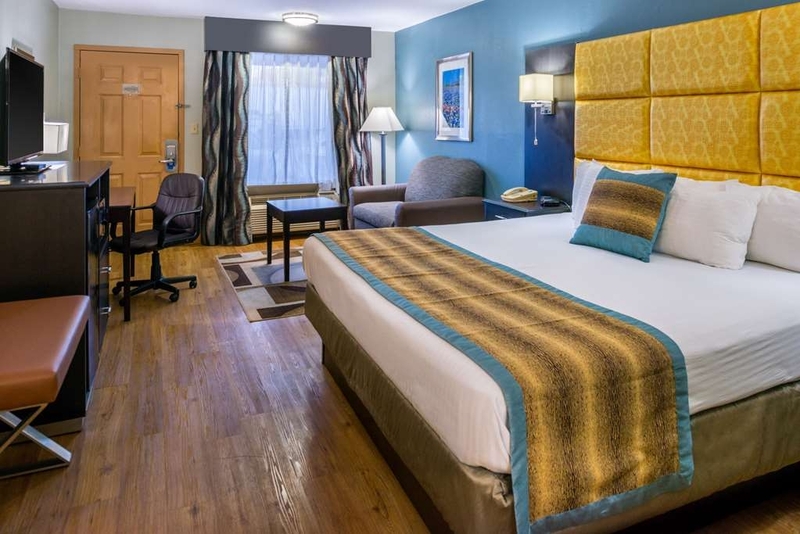 It's great to hear that the staff made you feel welcomed and that you would recommend the Best Western Inn, Winchester to other visitor in our area. On behalf of the staff and management we hope you will stay with us again soon. "Great pool, great breakfast, good night's sleep!!" this is the best place to stay in Winchester, TN area....by a landslide! Pool is awesome and clean....breakfast was great...we had sausage, gravy, eggs, biscuits, fresh cherries, and coffee....and so much more stuff to choose from. 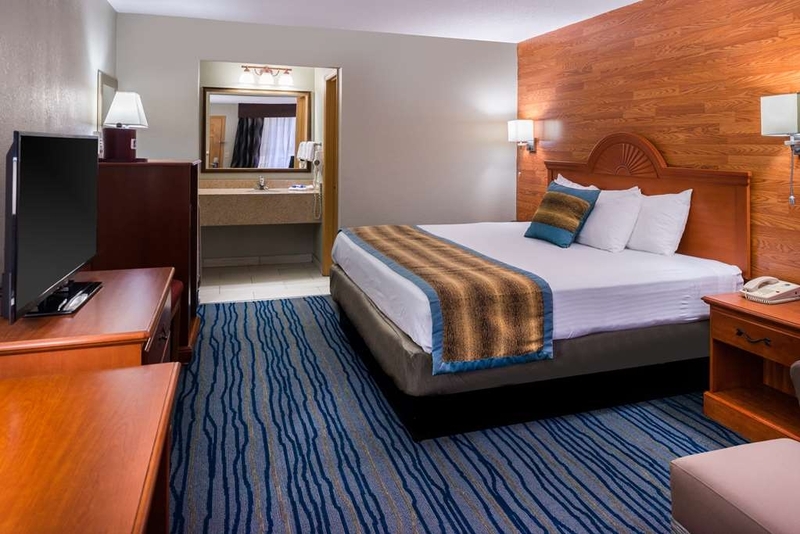 Rooms are clean and beds are comfortable...what more could you ask for? I am glad that you had time to relax by the pool and that you enjoyed all the option provided at the breakfast bar. We appreciate your writing this review and are glad you enjoyed all that our hotel has to offer. Hope you will stay with us again the next time you are visiting Winchester, Tn. This hotel has changed tremendously, with the upgrades over the past year. I actually moved to a different hotel for the last 2 years and decided to try BW again this year. I was pleasantly surprised when I entered the lobby, saw the breakfast area and entered the room. It was like night and day from previous visits. The upgrades made to the hotel definitely made my stay more enjoyable. The upgrades improved the cleanliness and appearance, the new furniture, fixtures and appliances made it more modern and definitely improved appearance and use. I would definitely recommend it. "Our 2nd stay, will stay there again!" It was perfectly located for our needs. Several restaurants located all around. Breakfast very good. We have stayed there before and would recommend it. Easy check in, check out. Comfortable beds, nice size room for the two of us and our German Shepherd. This was the suggested hotel for a quilt group conference held nearby. Very good value for the money. Convenient to our event. Clean, quiet, and well maintained. Would definitely stay there again. 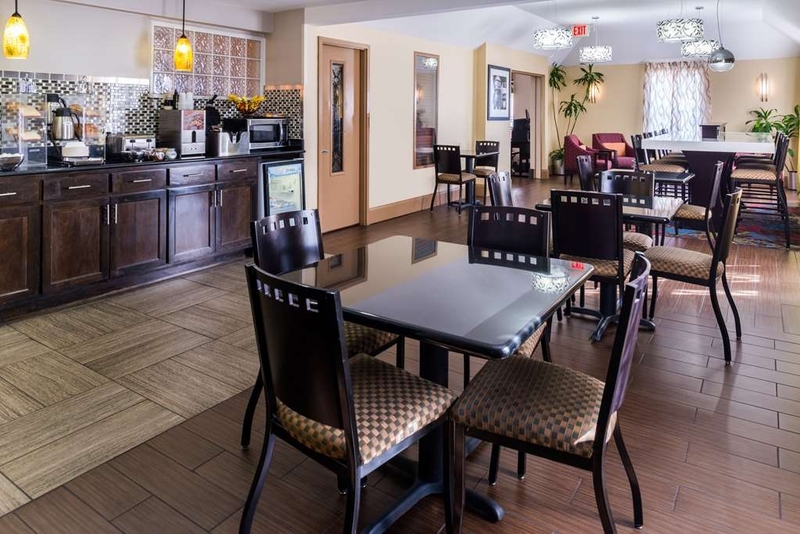 We had a handicap access room, close to the front office & convenient to the breakfast room. Room was spacious and well designed. Glad we got that room. Very much enjoyed my stay at the refurbished Best Western (remodeled within the last year). Comfortable bed, great black out curtains, and nice breakfast offerings. Lots of plugs. Mini-fridge. True non-smoking room was greatly appreciated. what a fine staff! had some automobile issues and the front staff (Molly) went beyond to help us get our situation handled. we found the right local people to help us get up and running again and back on the road also left a pillow behind and the saved it for us to get picked up by a family member in the area. We stayed in at the Winchester BW four nights. Excellent property. Loved the fact we could park our motorcycles directly in front of our rooms. Quiet hotel, very clean property, well maintained. Staff is excellent. Extremely helpful and concerned about our comfort during our stay. Offered several suggestions on roads to travel to avoid heavy traffic. Very much appreciated. Highly recommend staying here if in Winchester. We stayed for 2 nights during our roadtrip through the midwest. We mainly picked this hotel for price combined with the reviews on T/A and because it is not too far away from Jack Daniel's (35 min drive). When we pulled into their parking lot, the first impression was that this is a pretty standard low key Inn. Once we entered the lobby, this changed immediately. 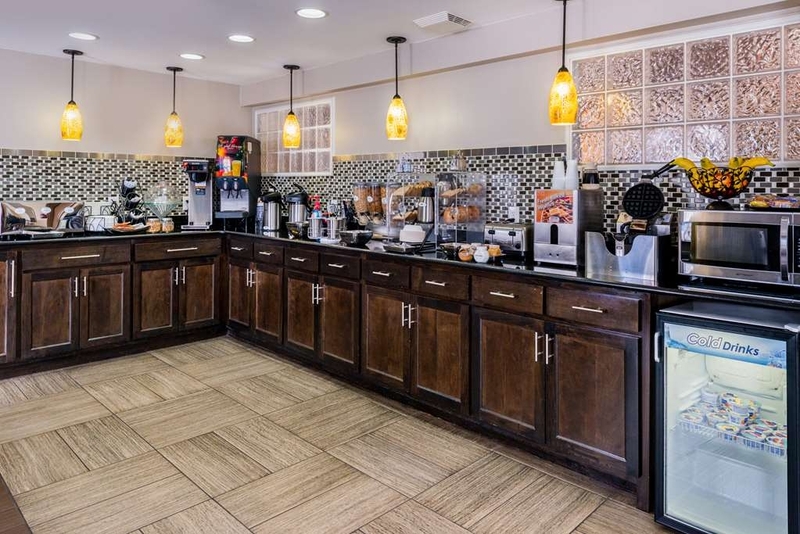 The lobby and the attached breakfast area have a very modern look, the entire area looked super clean and very well organized, almost like a smaller version of a Hampton Inn. The "awe" continued when we got to our room, which had the same modern look, and the bathroom seemed to have been updated not too long ago as well. Same here, both were extremely clean. The room was equipped with special reading lights, a fridge and a microwave. Plus the required number of towels was supplied right away (not the standard in most places like this one). Although an older device, the A/C worked fine at an acceptable noise level. We didn't hear any noise from neighboring rooms. Breakfast was good with decent variety, and unlike most hotels they make a very good coffee! Wifi was stable and sufficiently fast at all times, never had to reconnect. The pool area is located at the northern end of the annex building and part of it is underneath the 2nd floor of that building, hence a good portion is in the shade, which was much appreciated with the outside temperature hitting 95F and more. To sum it up, this place is very well managed and maintained and it truly earns its T/A Certificate of Excellence award! If they had pillow top mattresses and some more hot items for breakfast (scrambled eggs or omelettes) this hotel could be considered a BW Plus. "Convenient location for recent trip"
Hadn't stayed in a Best Western Hotel in a long time. Liked the easy access to our vehicle for unloading and loading luggage. We had multi rooms with other family members and relatives also staying there. All the Rooms were well maintained and the free Breakfast Bar had something for everyone. Room Rates are competitive for the area and the staff was very friendly. Would stay there again. My family had a great stay here. The room was super clean and the bed was nice. I would definitely stay here again. The only reasons I gave it 4 stars instead of 5 is because the room smelled a bit like dog pee or something (though I could tell the carpet was clean) and the breakfast wasn't that good, with orange juice that didn't taste quite right. I loved the shower and room and really was impressed with how clean everything was. "Good choice for Winchester hotel stay"
We stay at this hotel each year while visiting Winchester. Kids love the breakfast & pool. Rooms have small fridge & microwave & Wi-fi included in room price. Not a fancy hotel, but good, clean motel with friendly, helpful staff. We were very happy with our stay and will stay here again in the future. Clean facility, friendly staff. good breakfast - convenient location. Very reasonable prices. Only place I suggest staying in this area. Peaceful surroundings. This will not post when less than 200 characters but I don;t have anything else to say. 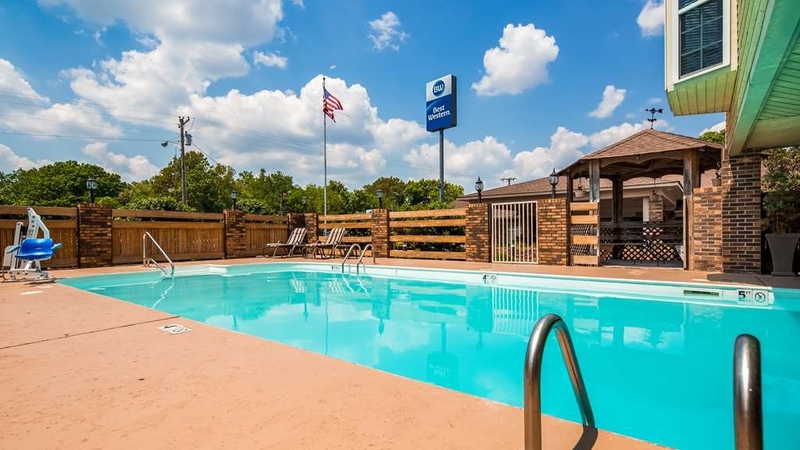 "Great Place to Stay in Winchester, TN"
Best Western in Winchester, TN, is a hotel that I would without a doubt choose again. Friendly and helpful staff, clean and comfortable room. We were very pleased with the staff, the room comfort as well as the quiet surroundings. I always stay here when I'm in town on business. Rooms are immaculate, and staff is friendly. There are often families staying there, which makes me feel safer when I'm traveling alone. The place is maintained better than some 4-star hotels I've stayed in. 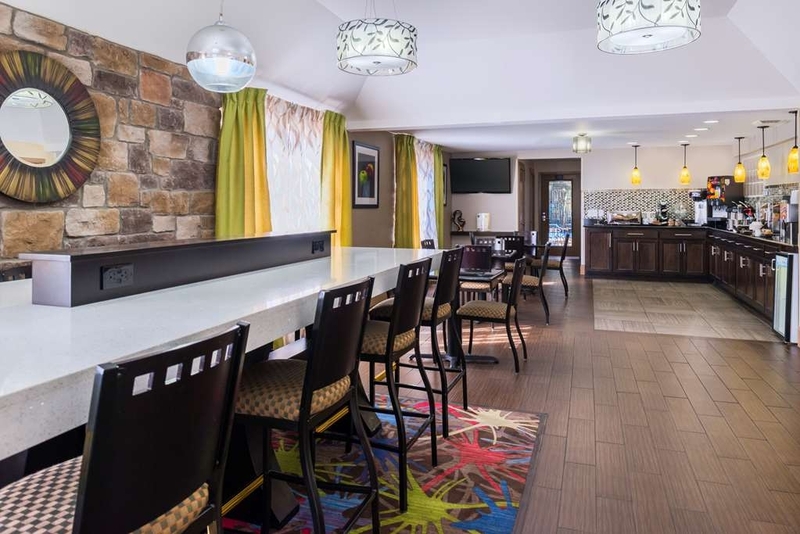 I can't believe I'm writing this, but I really enjoyed my stay at this Best Western! We were visiting family at Tim's Ford Lake, and this hotel housed the overflow of people. There weren't many choices, so we book here without really reading any reviews. That said- the front desk staff was really kind, the room was large and recently renovated, and the noise level was quiet for a hotel without interior hallways. The rooms had modern furnishings and comfortable beds. The small refrigerator was really helpful when traveling with my young child, and the breakfast and pool were nice additions considering the price of the hotel was low to begin with. 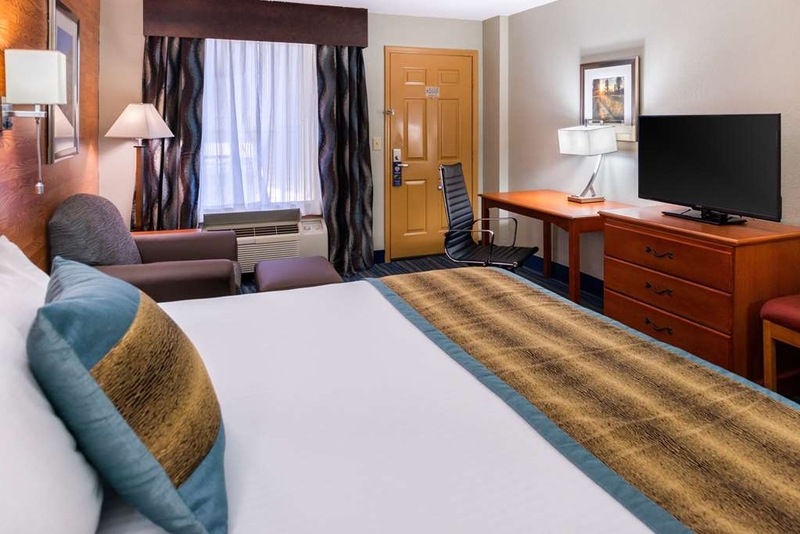 Often times we opt for more expensive hotels when on road trips, but this has taught me to read reviews and actually consider Best Western as they work on re-branding and improving quality. We were traveling from Illinois. I had reserved 2 rooms for my family to stay for my mother's funeral nearby. Staff member Samantha helped me change my initial room due to my inability to climb stairs, and then again due to air conditioning that wasn't working well in another suite. We ended up in a cool, quiet room with great beds and stayed there for 3 nights. Samantha even hugged and comforted me as I was grieving. The was in a convenient location for my family to attend the funeral and wake. Also, there were restaurants and shopping near by. When we return for future family visits, we will definitely stay at the BW in Winchester. Very impressed with this Hotel, looked like it my be a lower end property but rooms & service were outstanding. On really big complaint was internet service - absolutely dismal and basically nonexistent. Would never stay here again if I really needed any kind of decent internet. Luckily, it was not a show stopper on this trip. Beware and check if it's important. "first time at a Best Western"
nice and clean and well furnished! Larger room than we expected and enjoyed it very much! The front desk staff was very help and friendly and made recommendations for us in the area. I also appreciated having a separate living room and bedroom. "A LOT MORE THAN I EXPECTED"
Hotel room was nice clean and good location. Staff was friendly and helpful. Only negative was we travel with suit case and cooler we were on 2nd floor no elevator only stairs that is rough on an old man. We would stay here again but ask for room on 1st floor. The hotel was perfect after finding out all the rooms were booked at the hotel we wanted. We got a King suite with a pullout sofa. We loved that the king bed was able to be shut off from the rest of the suite. The breakfast was good too. check in was easy, the room more than met expectations (quiet and comfy) Staff was friendly and knowledgeable of surrounding restaurants and directions for us to continue on our way. Breakfast is very good in clean surroundings. I will be back. "You may not think this is your place, but its great!" There's not many places to choose from in Winchester itself, and when you pull up, you may think, "Am I at the right place?" But when you walk into your room, you will have the feel of a luxury hotel. The decor is very modern and the rooms are very clean and up to date. Our room had very comfortable king size bed. Our bathroom had a huge jacuzzi tub. The hotel had complimentary breakfast but we were able to walk to several fast food for breakfast and there was a nearby Waffle House in Decherd, TN which is literally across the bridge at the back of the hotel. The staff was very helpful. I requested to change my reservations to a different type room upon arrival and the desk clerk was able to accommodate my request and was very courteous. Someone else booked the room for us so we were not exactly sure what to expect. When we pulled up, around 10:00 p.m. we were a little unsure of what awaited us. The lobby was nice so we were a little more at ease about what the rooms might be like. When we actually got to our room, wow! The room did not match the outside at all. It was very nice, new contemporary decor, and big room. There is nothing wrong with the outside, it just does not make you think that the room is going to be so nice! Very comfortable beds and pillows! It is quite a way off of the interstate but it was a great stay. 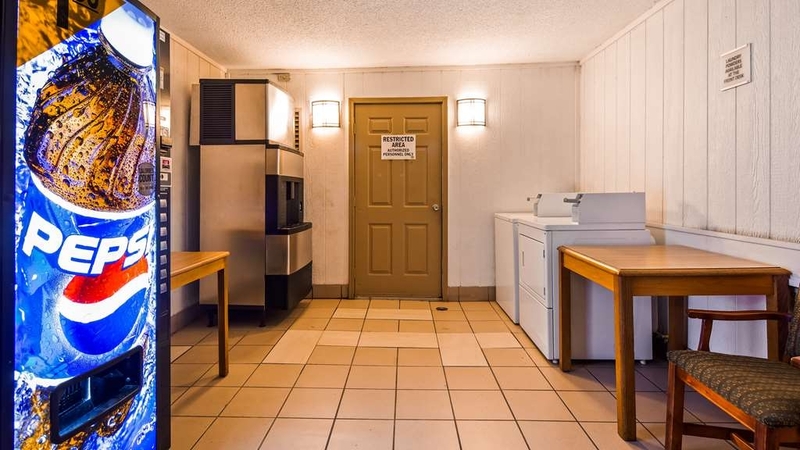 "Solid choice in the area"
This is a motel which has been retrofitted by best western. The rooms are 80% renovated (and very nicely done- hardwood floors etc), but other parts of them (ceilings, bathrooms) still appear pretty dated. I've stayed here several times and the first time I was not impressed; the last several times I've really enjoyed my stay. Good breakfast, wonderful staff, pretty quiet. The suites are very nice sized; kitchenettes include an odd collection of utensils and vessels but have everything you need! I read the reviews on Trip advisor. I was so happy with the everything. The staff was friendly. The room was super clean. I have nothing but good things to say about my stay. They had a wide variety to choose from at breakfast. The beds were comfortable. I would highly recommend the Best Western at Winchester to anyone visiting the area. I was visiting for a funeral with my sister and my aunt. Thank Denise for your kind words about your stay. We understand that your trip here was to attend a funeral, and the staff and management extend our condolences to you and your family. We hope to see you again under happy circumstances. "Best Western was a good place to stay"
The staff was friendly. The room was very clean and it was quiet. Breakfast was a step above the usual hotel breakfast. The location is convenient to the main road and nearby restaurants. I would stay there again. People working on property and room assigned was not ready. We were told no workers by our room but that was not the case. Driveway blocked by workers at motel so we could not get to our room. Registration personnel was grumpy when we checked in to room. . Breakfast as good. Traveling with a pet is not always easy. Many times if you can find a "pet friendly" hotel you get a designated room that smells of animals and urine. Here you get any room. There is an additional fee of $20/night-$100/week and I think that is fair. We have stayed at the hotel without the dog previously and were very happy with it. It is clean, rooms were well stocked and a continental breakfast. Bruce was great!!!! Elexa made this trip more enjoyable for me in that she had a great attitude and was very helpful as my schedule changed many times during my trip. She was always positive and very cheerful. Hotel was clean and comfortable with nice amenities. Only issue I had was a nonworking coffee maker but a quick note to housekeeping and that problem was resolved. We stayed here over the weekend with a group of friends o visit area attractions. The hotel room was clean, and nice. The air conditioner didn't really keep it as cool as we like it kept turning off at night. The towels were nice and smelled clean, there was a hair dryer as well as shampoo and lotion with is nice. We ate breakfast the first day and had waffles and coffee (it was good) milk and juice as well as yogurt. Weren't hungry the next day. The office staff was very nice as well and helpful. All in all a great stay, this was our second as we were here 3 years ago as well. "Made us comfortable during a very tough time "
"Nothing particularly good or bad"
The hotel left almost no impression on me. It was very basic, but clean, with a comfortable bed and plenty of towels. There was a great selection of cable channels and a large flatscreen tv, plus a microwave and refrigerator. The woman at check-in wasn't rude, but wasn't all about being helpful or kind either. Breakfast was passable. I wouldn't recommend the hotel, but I wouldn't warn folks away, either. "Probably The Best in Winchester"
This is an average Inn, but probably the best in Winchester. The breakfast was good and the rooms were clean. The refrigerator in my room did not work. Usually full on weekends in June due to baseball tournaments. Fairly quite, but no noise problems. Winchester is a pleasant city with extremely polite people. The hotel is in close proximity to restaurants. However, the climate control is poor, leaving room smelly moldy. The hotel was furnished nicely but the hotel is old. 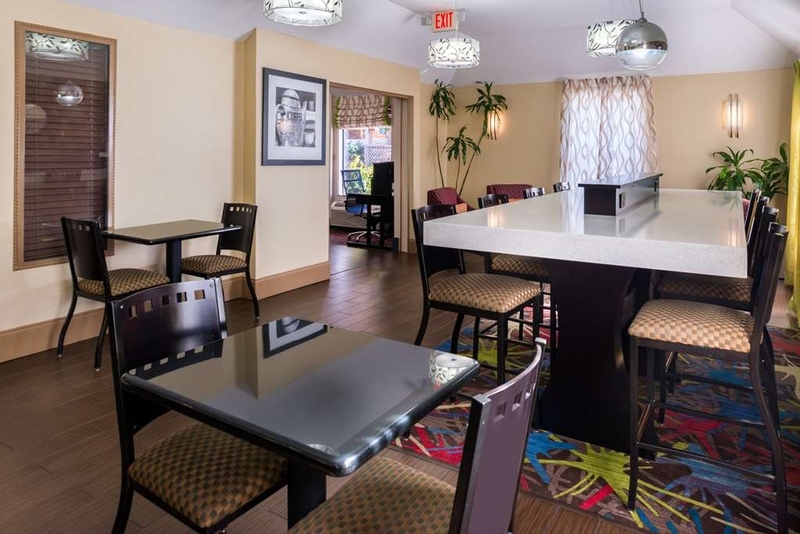 The hotel carries a lower price and has a lower quality compared to other chains. You get what you pay for in this location.